Tio chair by the Swedish Massproductions is an elegant, stackable chair made solely from steel wire. 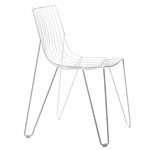 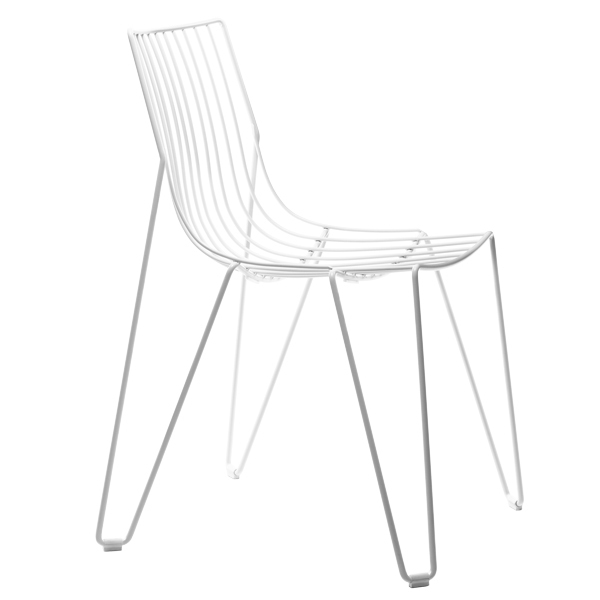 Due to its transparency and clarity of design, the Tio chair blends in well with a large variety of architectural styles. 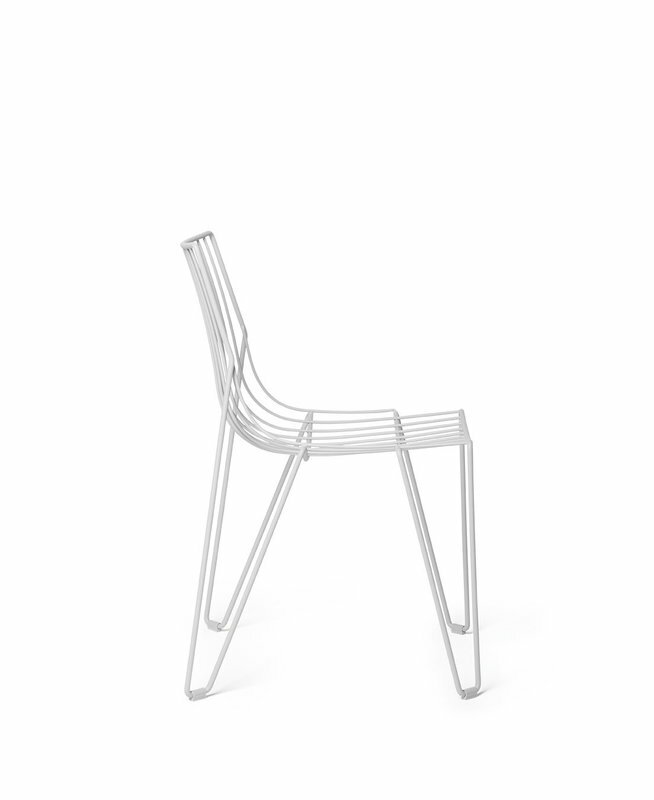 The Tio chair is suitable both for indoor and outdoor use. 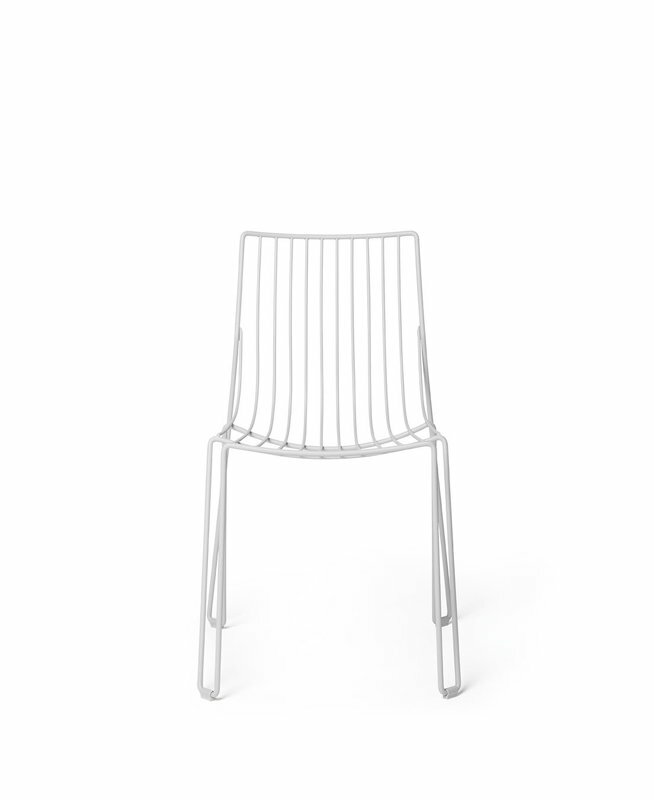 Made of galvanized metal wire covered with a polyester powder coat, the chair is available in a variety of colours.